On the hunt to replace your old, broken or worn out office chairs? Or, perhaps you just want to upgrade to something more ergonomic for your team? Then a new task chair is just what you need! Now all you need to do is pick one of the seemingly thousands of task chairs on the market! The easiest way to cut through the clutter and find a chair that will achieve what you want, at the price point you want, is to work with a trustworthy and reputable seller. We’ve put together this list of the top places to buy office chairs in HRM. To eliminate any bias in this article, I have not included Office Interiors in this list. Established in 1986, Atlantic Business Interiors is a full-service office furniture dealership with its head office in Dartmouth, NS. Their core values revolve around offering “Quality Products, Excellent Service and Competitive Value.” Steelcase or partners of Steelcase provide the bulk of Atlantic Business Interiors’ office seating offering. E3 Office Furniture & Interiors is another comprehensive office furniture dealership located in Dartmouth, NS. E3 bases their customer service claims on the back a several guarantees: On Time or On Us, Free Extended Labour Warranty, and a Price Match Guarantee. They lean on Source Office Furnishings and Performance Furnishings to provide their task seating. As their name implies, Ergoworks specializes in ergonomic office furniture. With an Occupational Therapist on staff, they can quickly offer ergonomic assessments to their customers. As is a common theme for office furniture dealerships in the region, their office is located in Dartmouth, NS. They carry a variety of office seating lines, but KI, Global Furniture Group and Teknion are their largest manufacturer partners. While their headquarters may be in New Brunswick, Chandler Sales also maintains a sales office in Dartmouth, NS. Chandler isn’t exclusively an office furniture dealer, providing a wide variety of B2B goods and services, but they do represent a sizeable participant in the local furniture market. Chandler sources it’s seating from Herman Miller. One of the few office furniture vendors in HRM to base their operations out of Halifax, InterSPACE prides themselves on offering a custom solution tailored to the needs of each individual customer. Their partner manufacturers are Hon and Knoll. Founded in 1882, Grand & Toy is a diverse B2B provider with locations across Canada, servicing mainland Nova Scotia from their sales office in Dartmouth. They rely on Safco Products and Global Furniture Group to provide their main office chair lines. Chairs Limited is a Dartmouth based office chair manufacturer, retailer and re-upholsterer. Unlike the other office furniture dealers on this list, they specialize in office seating and office seating alone. In fact, they are so passionate about chairs, they refer to their experts as chairologists! While the final business on our list is not headquartered in HRM, it is still a Nova Scotia owned business, operating out of Port Williams, with a second office in Dartmouth. They have been striving to provide a single source experience for the customers’ office furniture and equipment needs since first opening their doors in 1962. Workplace Essentials carries a wide variety of office seating brands, but some of their featured offerings include Artopex, Global Furnishings Group, and Horizon Furniture. All of the above office furniture dealers have a long history of providing quality products to Nova Scotians and could make a convincing case to win your business. However, when push comes to shove, you need to pick just one. Based on our decades of experience in the office furniture industry, we put together a short list to help you determine which provider best deserves your hard-earned cash. Engage a third-party metric such as Net Promoter Score (NPS) to measure their customer service? Approach your situation with a product first or solution first mindset? Provide continuous sales and support before, during and after the purchase? Opening discuss difficult topics such as price early in the sales process? 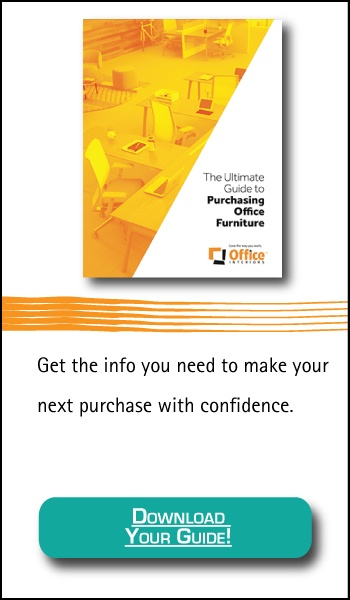 Interested in reading further on how to compare office furniture dealers best? You’re in luck! Check out our article Four Things to look for in an Office Furniture Provider for a deep dive on the topic. You may be wondering why we are publishing all this information on our potential competitors. The answer is simple. Our mission is to help our customers create more productive work environments. We believe the best way to accomplish that mission is by educating our (potential) customer base so that they can find the comprehensive solution that best suits their needs, not the solution that best fits with our products. 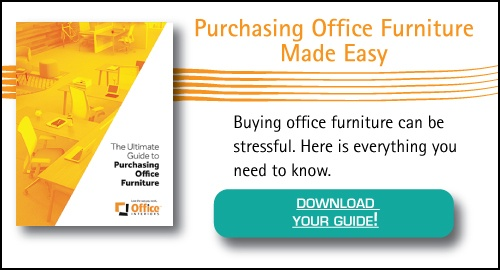 If you have enjoyed this article and want to learn more about purchasing office furniture, check out our Ultimate Guide to Purchasing Office Furniture! It breaks down how much to budget, how to spot quality product and how to select the right furniture partner.